Metal complexes of (E)-N-(4-(thiophen-2-ylmethyleneamino) phenylsulfonyl) acetamide (S.TH) Schiff bases derived from sulfacetamide (N-[4-(amino-phenyl) sulfonil] acetamide) and 2-thiophenecarboxaldehyde were synthesized and characterized. The synthesized compositions have been characterized using different physico-chemical techniques. The investigation included elemental analysis, melting point measurements, proton NMR, UV spectroscopy, FT-IR, magnetic susceptibility, conductance measurements, mass spectral analysis, and inductively coupled plasma mass spectrometry (ICP-MS) for determining the concentrations of metal ions. The measured values for molar conductance indicated that the majority of the prepared complexes were nonelectrolytes. 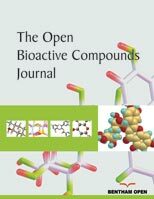 The biological activity of the prepared compositions has been investigated. Keywords: Thiohene carboxaldehyde, Transition metal complexes, Sulfacetamide, inductively coupled plasma (ICP-MS), Thiophene rings, Anticonvulsant activity. © 2018 Abu-Khadra et al.